Camp Enrollment opens March 1st! Welcome to the Four Fillies Farm website! Four Fillies Farm is a western horseback riding facility. We have been in business since 1997. The farm sits on 12 acres in Pilot Point, Texas. 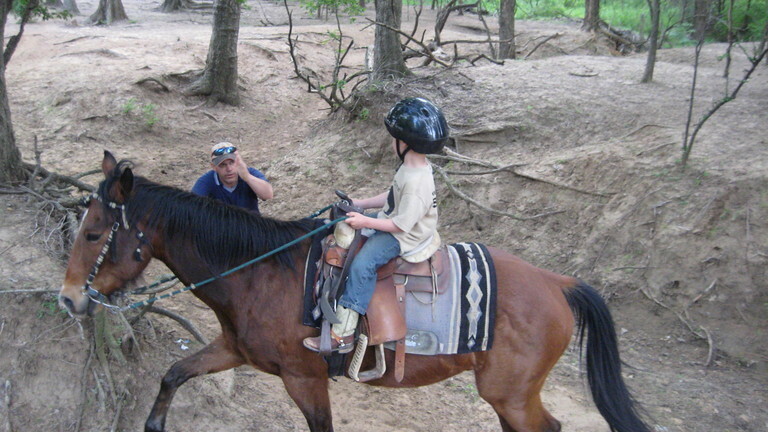 In addition to providing horseback riding lessons, we also offer parties for all kinds of events, trail rides on the beautiful equestrian trails of nearby Lake Ray Roberts, and summer riding camps for kids ages 6 - 14. For more information on all of our services, please click on the "Services" tab above.